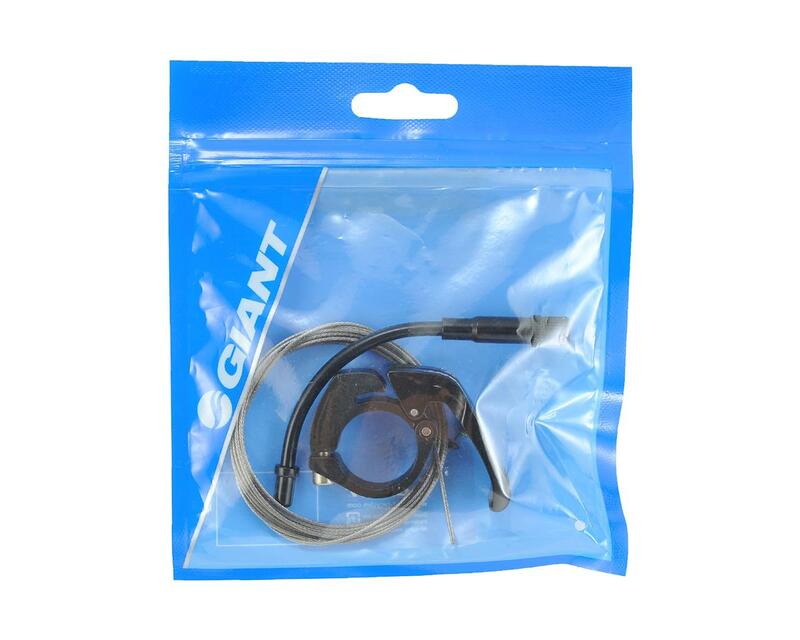 This is a replacement Giant Contact Switch dropper seat post 2X lever and cable set. This dropper post remote lever is designed to be mounted on handlebars where a front derailleur lever is present. 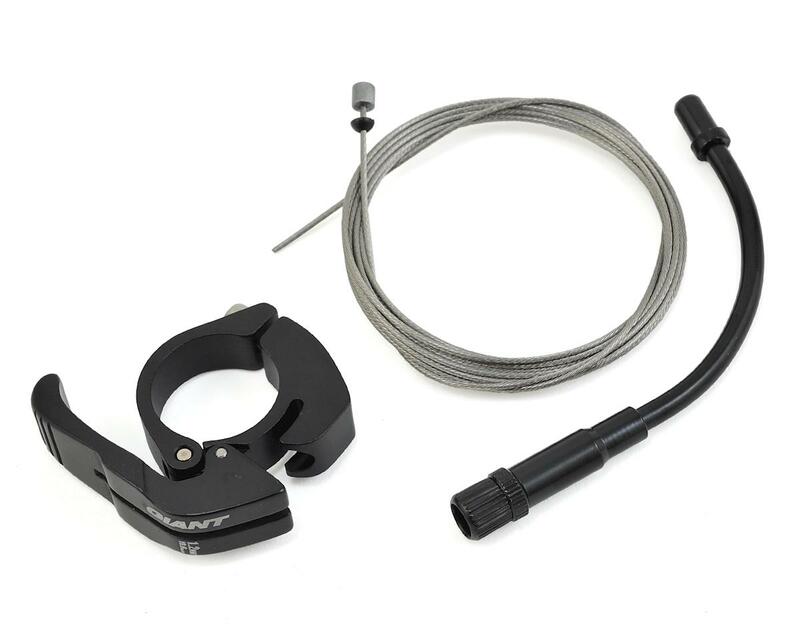 Fits 25.4mm bar diameter, and is hinged to mount without removing the grips or brakes. Includes cable.